I recently used this photo following the vote to deny a zoning change for the Over Brook Town Center project by the County Council. I felt the Council had shown a complete lack of forward thinking in that denial. I felt they had no real concern for growing business in the county, but instead had caved to a small, minority group of people who lived near the site, a group I have come to call, “SCAAG”. 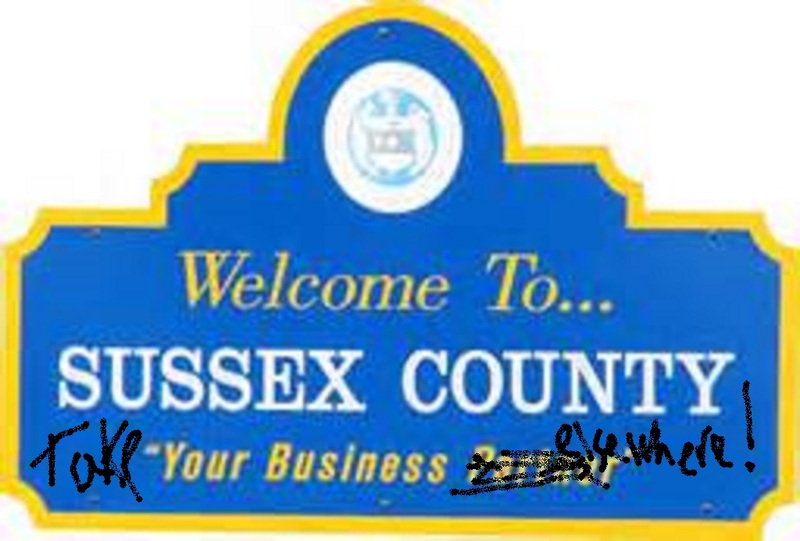 Sussex Countians All Growth, have blocked so many new business opportunities in the county, that I felt the County motto needs to be changed. Well it looks like it runs even deeper than just the County Council. 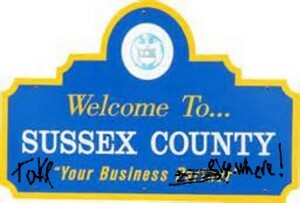 As I look around the political landscape of Sussex County, and maybe even the state, there seems to be either, a disregard for the working people of the County, or an intentional attempt to exclude them from the process, in some cases. Last night, in Milton, a candidate forum was held for the 3rd Councilmatic District. And trust me, I use the words “last night” loosely. The forum was scheduled to start at 5 O’clock till 7 O’clock. Can someone tell me how a working person is supposed to have a chance to get off work, get cleaned up, and make it to the forum in time to see the entire thing? Most jobs are 8-4:30 at least. And even if you live close by, you most likely won’t have time to eat, which means you will have to sit through two hours of political horse manure on an empty stomach. 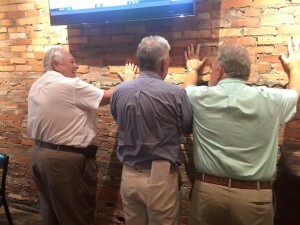 The event was put on by, the Delaware Chapter of Associated Builders and Contractors. More on this a bit later. I have to ask the question, did any of these contractors allow their help to take off early to attend the forum? One has to wonder. Is it a mere oversight, thoughtlessness, or do they just not care about the working people? Is it possible there is a feeling that the working people should be neither seen, nor heard? Let me be clear, it is not this single event, it happens quite often. Recently the Sussex GOP moved their start time from 7 pm, to 6:30 pm. Now one might say, no big deal, only a half an hour difference. Right? Well I can tell you it does make a difference for someone who lives on the other side of the county. In fact I had to start coming straight from work, which meant being in my work clothes, and without being able to take a shower. I have a job in which I get dirty, and I sweat, and have actually been called out right here for coming to the meetings like this. Well I guess if you are retired and have nothing to do beyond your 8 O’clock Tee Time, and have the rest of the day off, to catch the early bird special, and shower and groom prior to the meeting, then a half an hour is no big deal. Or if you own a business, and you make your own hours, no big deal. But what if you work for a company, and you get off at 4:30? Then what? We hear, especially in the Republican camp, how badly we need youth, and business people to become involved, yet no one seems to take into consideration the restraints on time of these people when scheduling events and meetings. Just look at one local Legislator here in Sussex County, Rep. Steve Smyk. He holds a monthly morning coffee for his District. At 7:00 in the morning, on a weekday! Well isn’t that thoughtful of him? I guess all of the working people in his district can just sleep in and take a nice late breakfast before going to work at 8:00. Again, only those who have no job, are retired or self-employed can come out to hear what the Representative has to say, or for him to hear from them. Thoughtless? Intentional? One freshman Representative announced shortly after being elected, he would be holding coffees in his district as well, at noon! NOON! He later changed them to late afternoon, but still the working people are excluded. Let me say there are exceptions. Sen. Brian Petty John and others hold their District get together on Saturdays, which allows all a better chance to attend. Maybe it is a sign that our elected officials and candidates are all too old, they themselves are either retired or self-employed, and therefore do not take into account what it’s like to still be working for a living and raising a family. Now, one other short remark about the 3rd District forum. 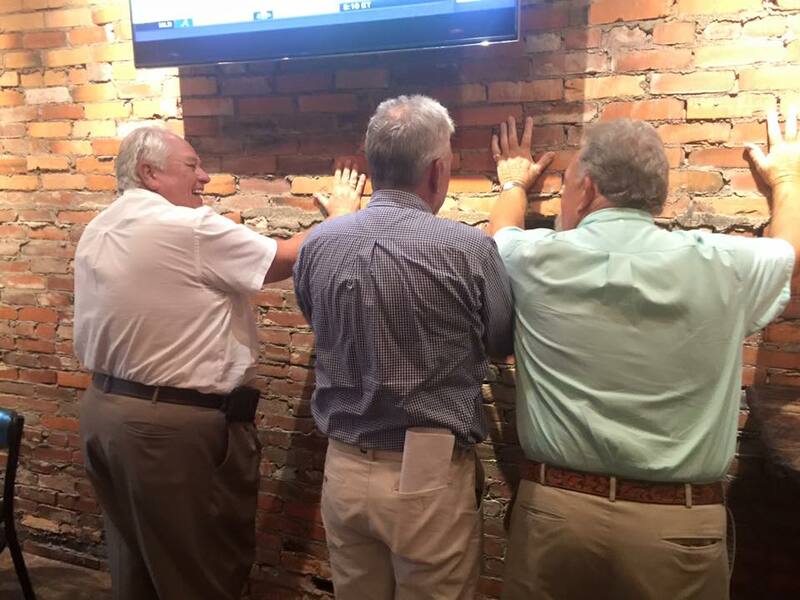 Since it was put on by the Delaware Chapter of Associated Builders and Contractors, and these are three of the candidates posing for a photo at the event. Is this the position the Builders and Contractors expect to see the winner in? Was this an interview? And by the way, I would put the average age of all the candidates, of both parties, in the low sixties, and all are retired or self-employed. Just saying. 19 Comments on "Working People Not Wanted"
Since moving to Delaware in 2012, it does seem the state, and the governor, are more interested in building a larger dependent welfare state. Building small business, not so much. I’ve heard many stories of small business not getting off the ground due to bureaucracy, slow-rolling state and county boards, exorbitant fees and taxes, etc. My knee jerk example would have to be the iconic Kirby and Holloway diner in Dover. They were going to rebuild after a fire, but finally had to throw in the towel, as I understand due to reasons given. I think the good ole boy days where Western Sussex controlled development for the entire county has finally seen it’s day. The people who have moved here in great numbers are going to protect THEIR interests, and if the elected officials try to reject this, then they will no longer be the elected officials. I personally would like to see less effort on retail development and more effort on infrastructure and institutional development. I know it’s a pipe dream, but wouldn’t it be nice to see some modern office complexes with financial, tech, and other institutions that would provide more incentives for our youth to remain in this area , and to draw more career oriented people to the area. We have the space that Northern Delaware doesn’t have any longer. The future of Delaware is in the south. The forum was scheduled to start at 5 O’clock till 7 O’clock. Can someone tell me how a working person is supposed to have a chance to get off work, get cleaned up, and make it to the forum in time to see the entire thing? They can’t. As I recall, Jefferson raised the same complaint about the British government in the Declaration of Independence. You can’t accomodate everyone, but 7 p.m. seems reasonable. These people need to realize that they are there to serve the public, not the other way around. How much longer than thus stupid blog and its writer pretend to be anything important? Anyone with a map could see why Overbrook was a bad idea. It was on the wrong side of Rte 1 meaning that only Rte 1 could serve a major new enterprise. If this had been proposed on the west side where alternative access roads could serve the project, it would have been a great add to the business community without adding unneeded stress to the area’s most significant traffic artery. Maybe we should buy the planning guys maps so they can see this next time they meet. Speed Racer, I guess that is why the plans included an overpass, which by the way would have been partially funded by the developer, now when the need arises in the near future, tax payers will be on the hook, 100%. And it seems as though you think that putting the stress on secondary roads is somehow a better idea? Of course all of those high dollar developments, which by the way weren’t there 2o years ago, would have just rolled over and said what a great idea, right? As to your point of age, well it will be interesting to see who serves these blue hairs their early bird specials when the young people have left to find work. Are you saying the old farts can’t stay up past 8:30? Or is it they don’t wan to miss Dancing With the Stars? Hey “The truth”, but you are hear, and we thank you. Anyone with a map could see why Overbrook was a bad idea. I have Google Maps, and I think it was a good idea. Thinking that DELDOT and the State of Delaware would have the foresight to widen roads and build overpasses to accommodate the rapidly-growing population and increased vehicular traffic? Now, that’s a bad idea. HRR, if you are representative of the GOP, I am more than happy to be on the outside. Knotts is definitely a GOP outsider. He has been identified as a Democrat mole. Well I’m not the one hiding my identity, now am I? Why anyone would want to join a group of people who do nothing other than fling juvenile insults is a mystery. You mean the “Chicken Bob” insults? Ah but Rick, I am not a part of any organization. Do conservative talk radio republicans ever consider how transparently false their bs narratives are? Maybe, but Fish Bites is…he’s a card-carrying member of the Delaware Right Left. Knotts has a point. 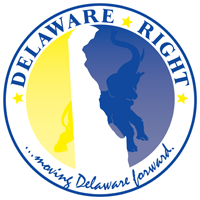 Delaware Right does not qualify as an organization worthy of the name. it’s just a natural growth of SCUM.